NPR will change the theme music to Morning Edition for the first time in decades, according to a memo sent to member stations Tuesday by CEO Jarl Mohn. NPR is developing the new theme to attract new listeners and “to better reflect what Morning Edition is today,” Mohn wrote in the email obtained by Current. The theme will debut May 6. “As we look to draw in new listeners to NPR programming and grow public radio’s presence on multiple platforms, a new theme will give us a way to better reflect what Morning Edition is today, and attract listeners who have not yet discovered the program’s dynamic mix of engaging, informative, and often surprising stories about today’s world,” Mohn wrote. Audience research has shown that the current theme is “considered warm but has a weaker association with being energetic, fresh, and modern,” Mohn said. Mohn said the theme is “inspired by the work of BJ Leiderman,” who composed the current music as well as the themes of Weekend Edition and Wait Wait … Don’t Tell Me! Morning Edition has used Leiderman’s theme since its 1979 debut, with subsequent arrangements provided by composer and musician Jim Pugh. NPR developed the new theme with Man Made Music, a company that has created music and sounds for major brands such as Nissan and HBO. In 2017, Man Made “reinterpreted and reimagined” the cable network’s theme, according to their website. 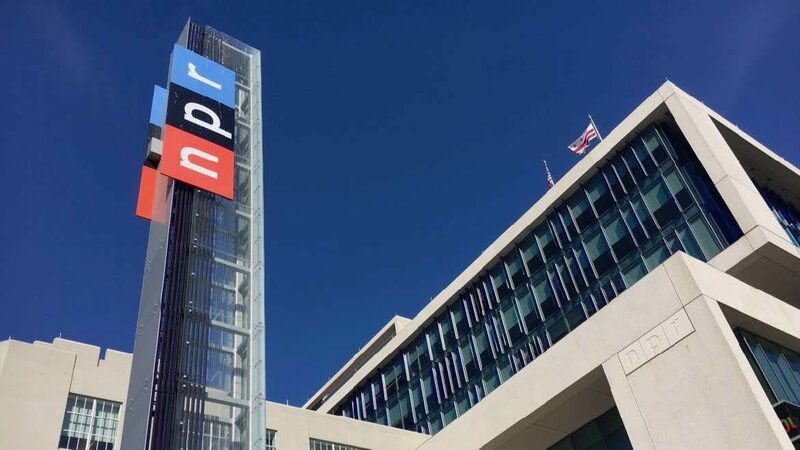 “We purposefully kept the creative circle small—Man Made Music and a small internal working group at NPR—to streamline decision-making and keep us focused,” Mohn said. Mohn’s email provided links to some of the music elements on a password-protected website for stations. NPR will give stations broadcast-quality samples of the music Monday for “experimenting and practicing,” the memo said. The gap between the unveiling to stations and the music’s broadcast debut is intended to allow for “sufficient time to adjust to the new music, and to be thoughtful about how best to incorporate it into local versions of the show,” Mohn wrote. Morning Edition drew 14.9 million weekly listeners as of March 2018, according to NPR. “We did good work, the music made its mark, and I remain the luckiest and most appreciative composer on the planet,” he added. Should be interesting. I happen to have heard the very first Morning Edition and ATC programs decades ago while driving to/from work. . I liked the marshal arrangement of the early themes. I just hope — really hope — the new theme isn’t hip-hop or some genre I hate. I realize you need to appeal to a younger and younger demographic to remain vital and relevant, but causing disgruntlement with your stable legacy listener base would be a bad move for NPR. As I noted above: should be interesting! It’s been such a hit for decades…odd they wouldn’t have gone back to the original composer for “refreshing”. I miss the long-used arrangement with an opening fanfare and swell that blossomed into a piano and other instruments carrying the vigorous theme forward. It was uplifting, it made me look forward to the day. I can’t say the same for the current arrangement. But I can say the theme music is NOT what drew me to Morning Edition when I began listening as an 18-year-old in the late ’80s. If you think tossing out Liedermann’s composition is going to gain you young listeners, then you must have a really low opinion of their intelligence. The music for all these programs is fresh and enjoyable. Did you do a market survey to see if potential listeneners would tune in if the bumper music was different?!! I did’t think so. Now, the many many listeners have to adjust to a corpotate sound, instead of the uniqueness of the very talented BJ Leiderman. Give him my regards. He is definetly THE best!! In this trying time in the age of Trump how can you do this to me? I even know the words to the Morning Edition theme! If you have enough complaints will you reconsider this terrible idea? I’m really unhappy about this. Simon isn’t the same in the am without BJ Leiderman. Sad. Weekend Edition w/Scott Simon has thus far retained BJ Leiderman’s music. Long may it reign, thank you. The article makes it appear that BJ Leiderman did not participate in the new theme. However, someone who worked on the new theme project sent me this: Original Theme: BJ Leiderman – 1979; Arranged and produced by Man Made Music 2018. So which is it? Did Leiderman have a part in creating the new theme or not?